Since 1992, the Centre has run a number of major interdisciplinary projects involving a series of workshops over one or more years, and one or more major international conferences. Workshops are for staff, research students, and invited participants. But the international conferences are open to the public. Each project has resulted in the publication of one or more collections of original interdisciplinary essays based on the conferences. "There is no more central topic in philosophy and the human sciences than the question of innateness. The innateness project and the books it has produced represent an unparalleled effort to grapple with it." 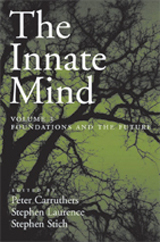 The Innate Mind: Foundations and the Future. Edited by Peter Carruthers, Stephen Laurence, and Stephen Stich (Oxford University Press, 2007). 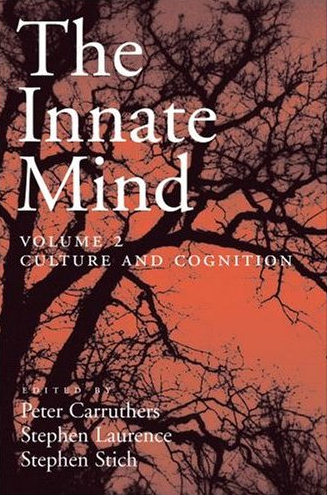 The Innate Mind: Culture and Cognition. Edited by Peter Carruthers, Stephen Laurence, and Stephen Stich (Oxford University Press, 2006). "This is a fantastic volume. It beautifully answers the tired complaint that we need to get beyond the simple nature/nurture dichotomy. This collection of essays represents a striking advance in our understanding of both nativism and culture. It also provides the basis for a bright future in charting how innate and cultural components interact. Together with the other Innate Mind volumes assembled by this team, this volume represents a real landmark in the development of nativism." 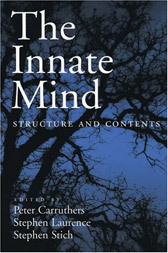 The Innate Mind: Structure and Contents. Edited by Peter Carruthers, Stephen Laurence, and Stephen Stich (Oxford University Press, 2005). The Innate Mind: Structure and Contents concerns the fundamental architecture of the mind, addressing such questions as: What capacities, processes, representations, biases, and connections are innate? How do these innate elements feed into a story about the development of our mature cognitive capacities, and which of them are shared with other members of the animal kingdom? The editors have provided an introduction giving some of the background to the debates about innateness and introducing each of the subsequent essays, as well as a consolidated bibliography that will be a valuable reference resource for all those interested in this area. The volume will be of great importance to all researchers and students interested in the fundamental nature and powers of the human mind. — Fiona Cowie, California Institute of Technology, and author of What’s Within: Nativism Reconsidered. 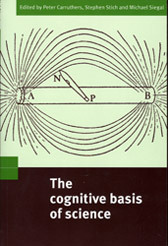 The Cognitive Basis of Science. Edited by Peter Carruthers, Stephen Stich, and Michael Siegal (Cambridge University Press, 2002). 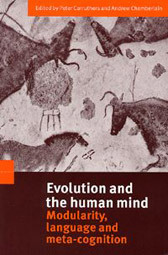 Evolution and the Human Mind: Modularity, Language, and Meta-Cognition. Edited by Peter Carruthers and Andrew Chamberlain (Cambridge University Press, 2000). 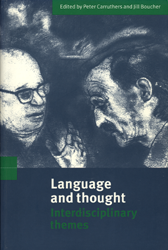 Language and Thought: Interdisciplinary Themes. Edited by Peter Carruthers and Jill Boucher (Cambridge University Press, 1998). 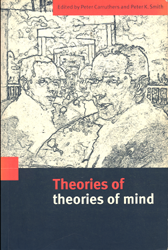 Theories of Theories of Mind. Edited by Peter Carruthers and Peter K Smith (Cambridge University Press, 1996).